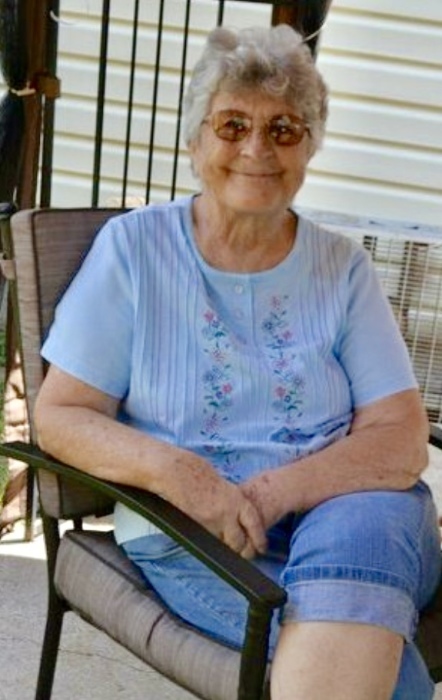 Della Mae Bradley Underwood, age 80, of Waynesburg, Kentucky, formerly of Stanford, Kentucky, passed away Sunday, September 9, 2018 at Ephraim McDowell Regional Medical Center in Danville, Kentucky. Born Monday, January 24, 1938 in Boyle County, Kentucky, she was the daughter of the late James Harvey & Sybil Miller Bradley. Della was the widow of the late John Thomas “J.T.” Underwood, Jr., whom she married June 3, 1961 and preceded her in death September 25, 2011. Della was a Private Sitter member of Southern Heights Baptist Church in Danville and member of the Ladies Auxiliary of VFW in Danville. Della enjoyed spending time with her family, especially her grandchildren. Della leaves behind five children, Tim Underwood (Stephanie Simpson) of Harrodsburg, Kentucky, Melissa Hodge (Owen) of Waynesburg, Terry Underwood (Rosemary) of Danville, Brad Underwood of Oneida, Tennessee, and Michael Underwood (Bianca) of Louisville, Kentucky; eight grandchildren; four great-grandchildren; one brother, Bobby Bradley of Lincoln County, Kentucky; and four sisters, Dorothy Bradley and Shirley Bradley of Stanford, Ann Walls (Junior) of Hustonville, Kentucky, and Anita Leigh of Danville. In addition to her husband and parents, she was preceded in death by one daughter-in-law, Nina Underwood; and one brother, Linton Bradley. A Funeral Service will be held 1:00PM Thursday, September 13, 2018 at Fox & Friend Funeral Home. Burial will follow in Camp Nelson National Cemetery. Jeffery Snow, Joe Tackett, Owen Hodge, Jonathan Underwood, Davey Underwood, Todd Stevens, and Tanner Cloyd will serve as Active Pallbearers. The Visitation will be held 10AM-1PM Thursday at the funeral home. Fox & Friend Funeral Home, Stanford, in entrusted with Della’s arrangements. Guest Book at www.friendfuneralhomes.com.